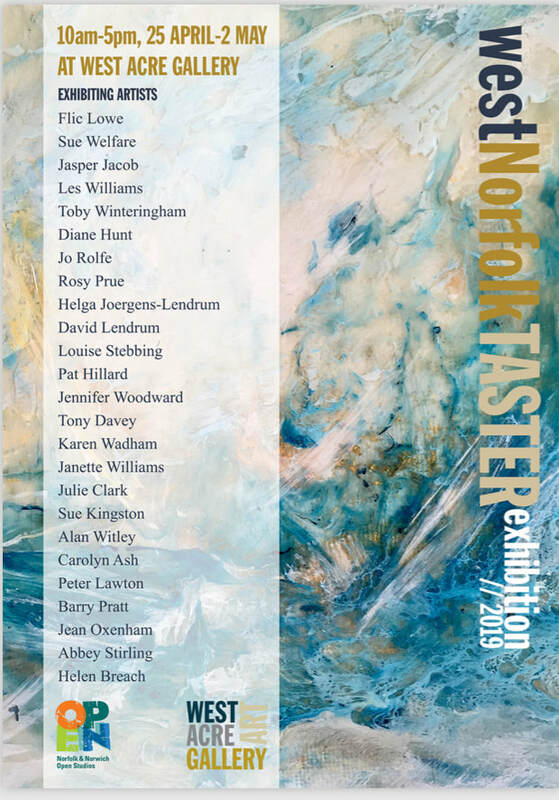 My painting, 'Out there' (featured in flyer below), will be on show at the NNOS West Norfolk Taster exhibition. A new exhibition in the picturesque village of Ringstead will feature the work of six local artists in a collective show. 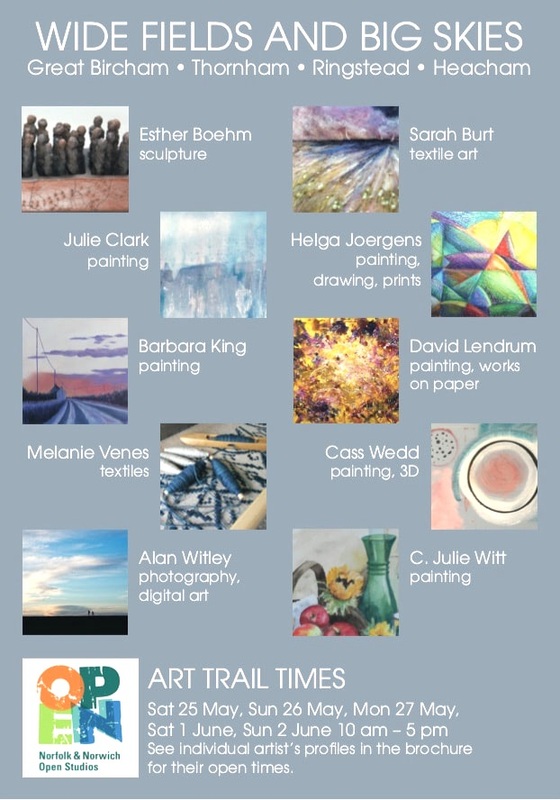 Held in conjunction with this year’s Norfolk and Norwich Open Studios county-wide event. the exhibition will run for nine days from May 25th. Stylistically their exhibits range from realism to abstraction and practically everything in between in a scale from small to, well, very big! It includes photography, oil, acrylic, watercolour, pastel and digital art – plus cards and print making – all of which they employ to creatively reflect the life and scene in the glorious coast and countryside of the area. 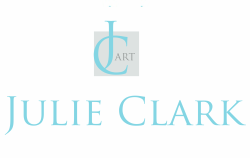 Julie Clark works in a variety of styles and media and has become recognised for her powerful images influenced by the ever changing coastal seascape of Norfolk. ​Helga Joergens produces figurative and abstract pictures created from observation and imagination. Barbara King's bright, figurative paintings embrace a number of subjects including flora, fauna and the Norfolk landscape. David Lendrum paints abstract works inspired by the skies and landscapes of Norfolk. Cass Wedd works with paint, photography and other media and materials on subjects including Norfolk seascape, landscape and Irish history. Alan Witley blends photography with digital art to produce spectacular images depicting the local scene. You will be able to meet and chat with the artists at the exhibition which should make this an especially interesting event not to be missed. 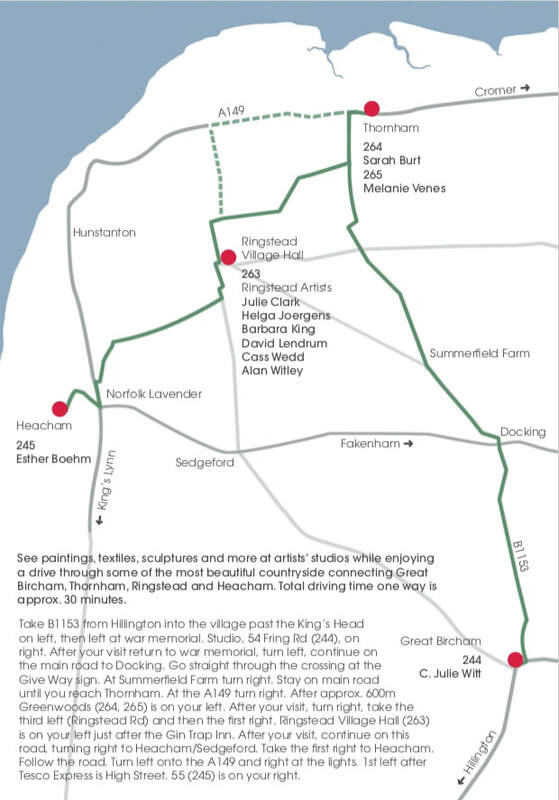 The Six Artists Exhibition is at Ringstead Village Hall from Saturday 25th May until Sunday 2nd June, 10.00 am to 5.00 pm. Entrance and car parking are free. 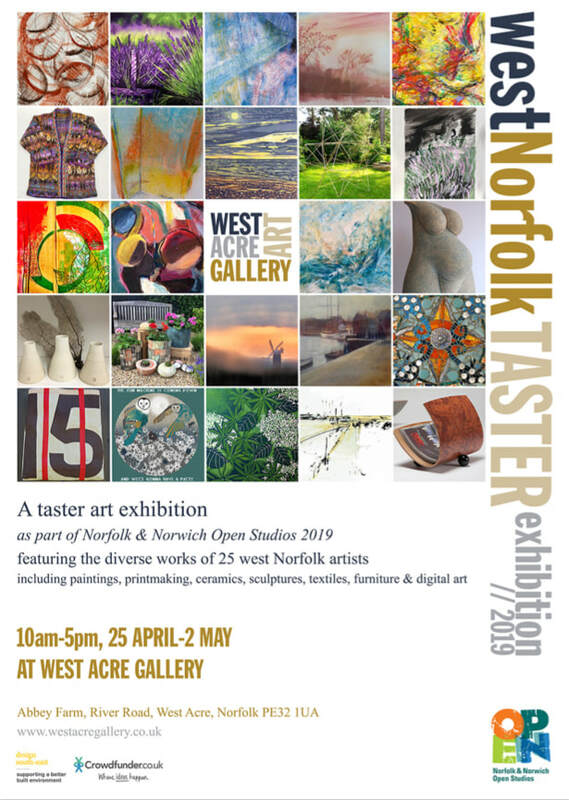 My paintings will be on display at the taster exhibition, and - new for 2019 - some cards and signed giclée prints will be for sale in the gallery shop. Julie Clark. All rights reserved.